Organic fresh produce sales reached $1.16 billion for the third quarter of 2017, an eight percent increase in dollars and 10 percent rise in volume from the previous year, according to the Organic Produce Network (OPN). 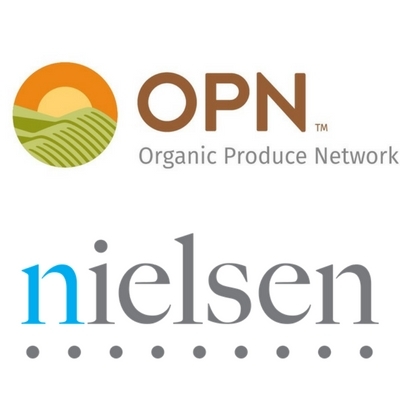 Partnering with Nielsen, OPN’s review of third quarter organic fresh produce sales at retail stores across the country shows dollar sales of organic fresh vegetables were $576 million while organic fresh fruit sales were $408 million. The remaining $173 million organic fresh sales are “other produce items”, which includes organic herbs/seasonings, beverages and dressings. Collectively, organic fresh fruits and vegetables represented 10.2 percent of all produce dollars at the end of the third quarter. Compared to a year ago, sales of organic fruit were up 8.3 percent, while sales of organic vegetables rose 6.2 percent. The $226 million-dollar organic packaged salad category held the top slot in terms of dollar share during third quarter, capturing 19.5 percent of organic produce sales. Convenience combined with stable retail prices, are said to be the two biggest factors at play here. Likewise, the $151 million-dollar berry category---which includes strawberries, blueberries and raspberries-----held on to second position, despite a slightly lower average retail price than last quarter. Berries, which represented 13.1 percent of organic produce sales in the third quarter experienced an 11.5 percent increase in dollars and a 9.4 percent jump in volume compared to a year ago. Also note worthy is the $71 million-dollars fresh organic herbs/spices/seasonings category, accounting for 6.2 percent of total organic dollars, that was up 17 percent in dollars and 18 percent in volume vs. a year ago. The $56 million-dollar organic banana category saw an 18 percent dollar growth compared to a year ago, making it the second largest fruit segment. Average retail prices, which were down nearly 6 percent compared to a year ago, likely played a role here. Conversely, categories in which sharp price increases were reported, underperformed in the third quarter. The $22.3 million-dollar stone fruit category was down 3.5 percent in dollars and nearly 14 percent in volume compared to a year ago. Higher retail prices, as has been suggested by some, may have adversely impacted sales. Organic peaches, for example, were 62 percent more expensive than conventional peaches in the third quarter. Grapes, the third largest fruit category as measured in dollars and ranked seventh in terms of dollar share, also appears to have been impacted by higher retail prices. The $54.8 million-dollar category only saw a 3.1 percent increase in dollars and a 3.2 percent decrease in volume compared to a year ago. “Successful retailers are using organic produce as a point of differentiation,” said Lally, noting the most successful retailers are able to generate some 16 percent of produce dollars from organic varieties. However, Lally said one of the biggest keys for organic success is the price relative to the conventional item. “Historically, organic categories with more than a 50 percent premium over conventional produce pricing have struggled to achieve the same success. The $45 million-dollar organic value added fresh produce category, which experienced a slight price increase (0.6 percent) in the third quarter compared to a year ago, saw a 2.8 percent increase in dollars, but only a 2.2 percent gain in volume. The value-added organic vegetable segment, at $41 million, still accounts for the lion share of sales, with organic carrots, French/green beans and cooking greens the three most popular segments. While only $4 million in sales, value-added fruit – led by apples, mixed fruit and cantaloupe --- was up 11.4 percent in dollars and 9.6 percent in volume during the third quarter compared to a year ago. 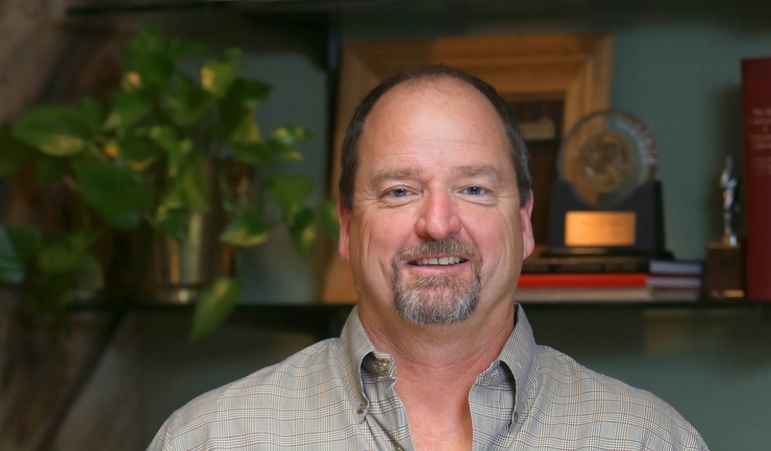 OPN recently spoke with Mark Sambrailo, Owner & CEO at Sambrailo Packaging on sustainability and packaging innovations. 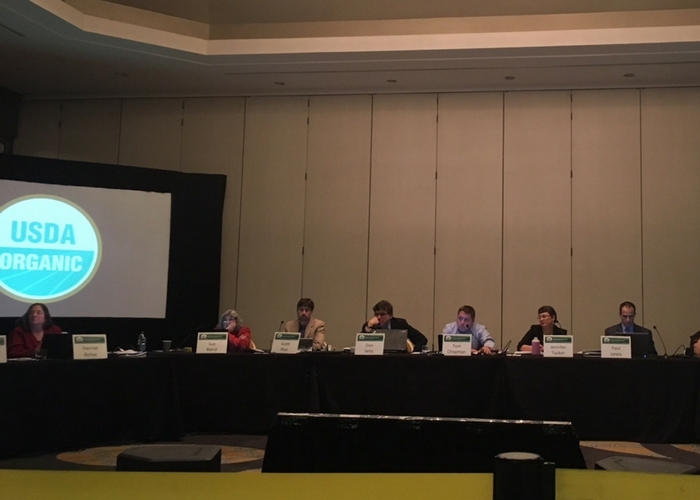 Organic Produce Network was in Jacksonville to witness one of the most divided National Organic Standards Board (NOSB) meetings in recent history. Filled with emotion for organic ideals, both sides defended their position to allow or prohibit out-of- soil organic production methods. After 15 years of debate, hydroponics and container growing will continue to be certified, leaving many soil-only proponents disappointed. 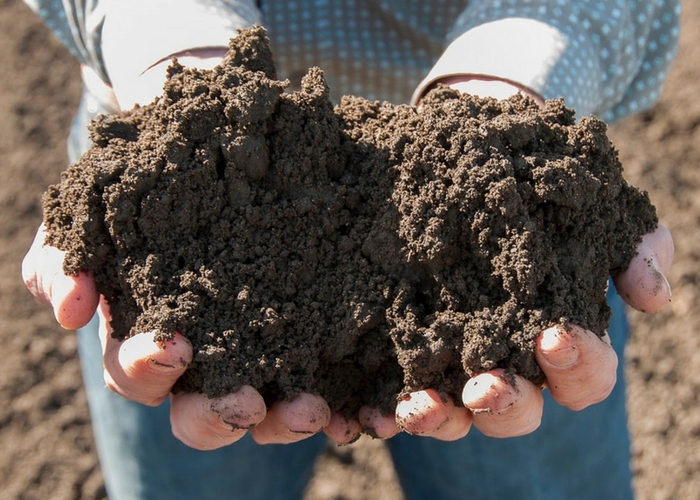 OPN reached out to leaders on both sides of the debate to find out how the organic community will move forward on this shaky ground. 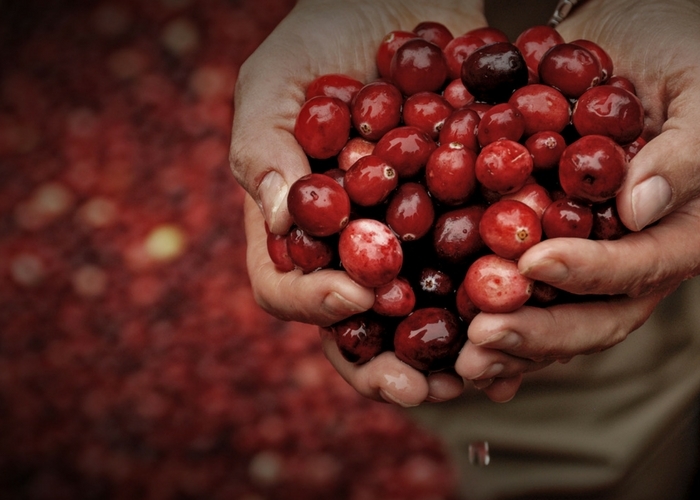 While domestic organic cranberry yields are expected to be lower than average, increased demand for organic cranberries and organic cranberry products are higher than ever for the upcoming Thanksgiving holiday.